Over the years, the city of Lagos has had its pride embedded in its ability to accommodate people from all ethnicities who have taken advantage of its vast resources and market potential. The city boasts of several budding market places hence commonly referred to as the market hub of Nigeria. Tejuosho market was popular for satisfying consumer’s insatiable needs, presenting buyers with different goods in order to meet their distinct wants and preferences. It became the central shopping hub of Lagos for both buyers and sellers of merchandise ranging from clothing to groceries and other live-in accessories, household and gift items, body and hair care products, furniture, car accessories, upholstery goods and other consumables. As a result of the high traffic flow, Tejuosho market often had to battle with small shop spaces and insufficient parking which resulted in the traders moving their goods to the hallways/walkways and even into the streets thereby causing constant congestion with people shoving each other sometimes aggressively just to get their destination. Regardless of the discomfort to the customers, the good people of Lagos were relentless and remained loyal to Tejuosho market. a fire outburst spread rapidly through the shops engulfing everything in its way. Its reach was extensive as traders fought unsuccessfully, risking their lives trying to salvage the remainder of their goods. 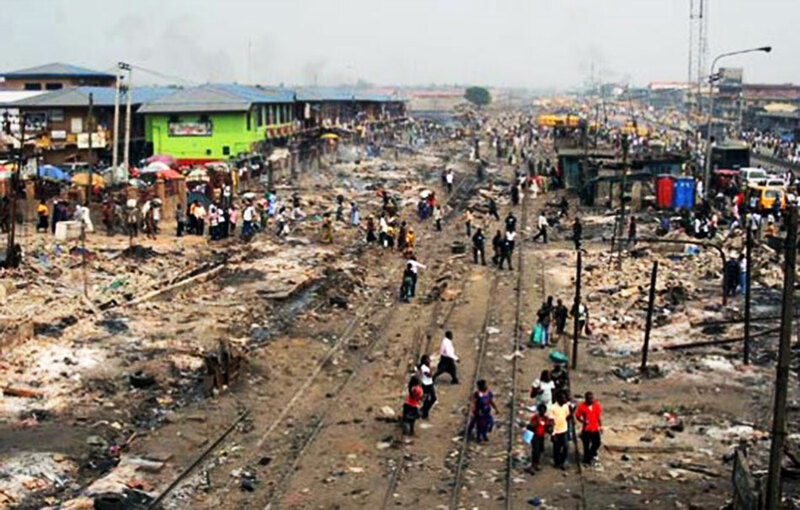 This disheartening incident led to the rebuilding and transformation of the old Tejuosho market to ‘The New Tejuosho Ultra-Modern Shopping Centre’. The Tejuosho Ultra-Modern Shopping Centre with a superimposing structure and well laid out plan spanning across 25,000sqm of land, is the promised one-stop dream commercial location that rightly compliments the Lagos metropolis. The Centre will also provide thousands of jobs for both skilled and unskilled labour. The Centre boasts of over 1,692 shops on four floors, 342 K-Klamps, children’s area, food court, bar/lounge, promotion courts, advertising space, a massive underground parking lot for more than 350 vehicles, 24hr power with standby generators, police/fire station, waste management, and round-the-clock-security. The newly reformed market still retains the spirit of the old market while offering a modern business experience/ambience. The new Tejuosho Ultra-Modern Shopping Centre will be open soon for use by merchants, corporate establishments, local and international corporations. The trauma of the previous era/market though not entirely forgotten has been replaced with a more serene, professional and accommodating work environment with advanced technology.